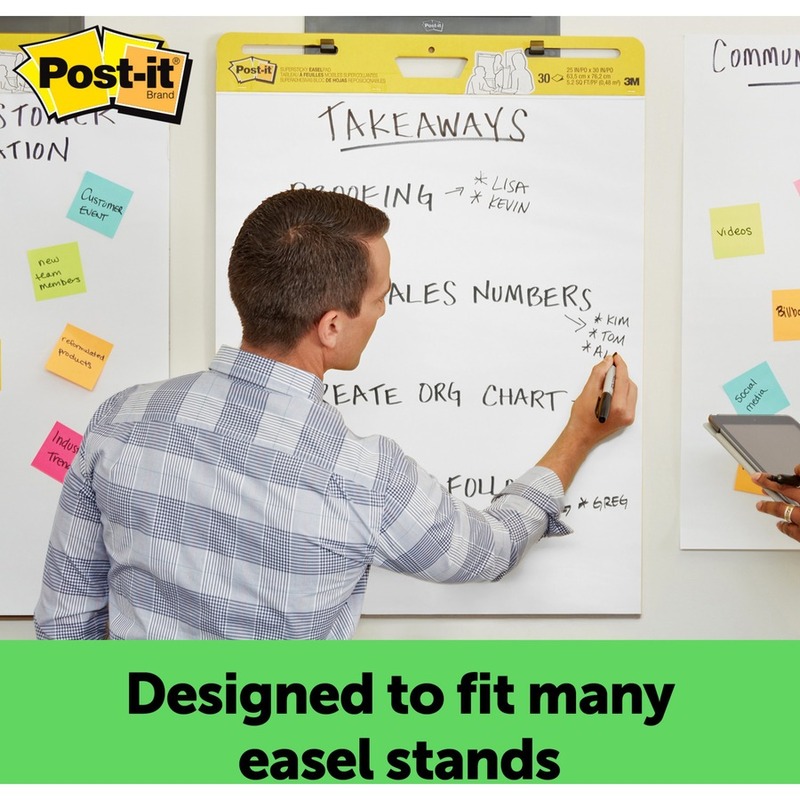 With sheets that can stick almost anywhere, Post-it Easel Pads foster the imaginative thinking that lays the foundation for future growth. 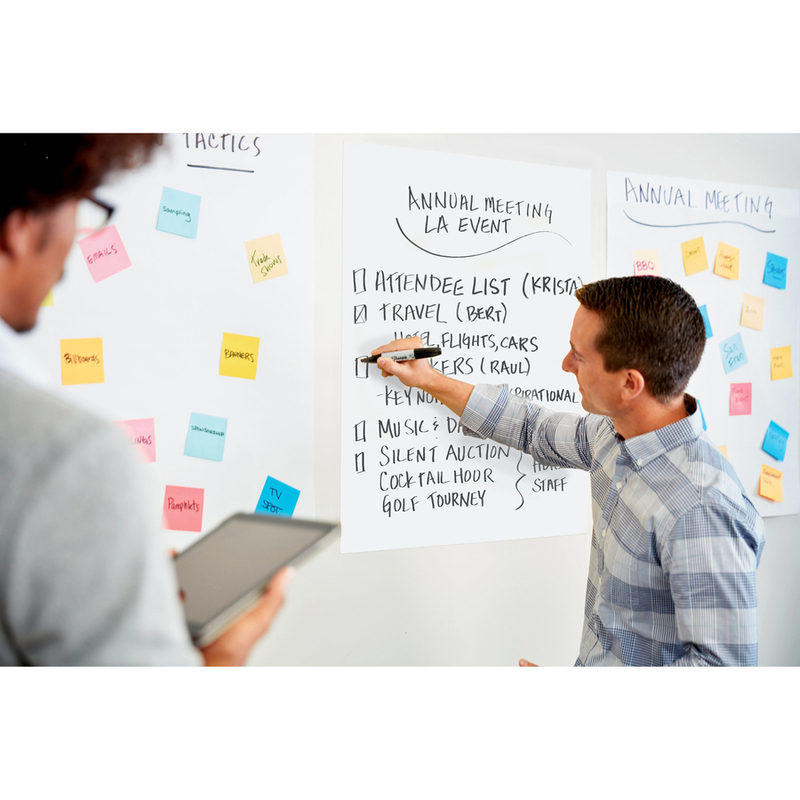 So when you want to successfully plan, collaborate, capture and build on ideas, they're ready to help you succeed. 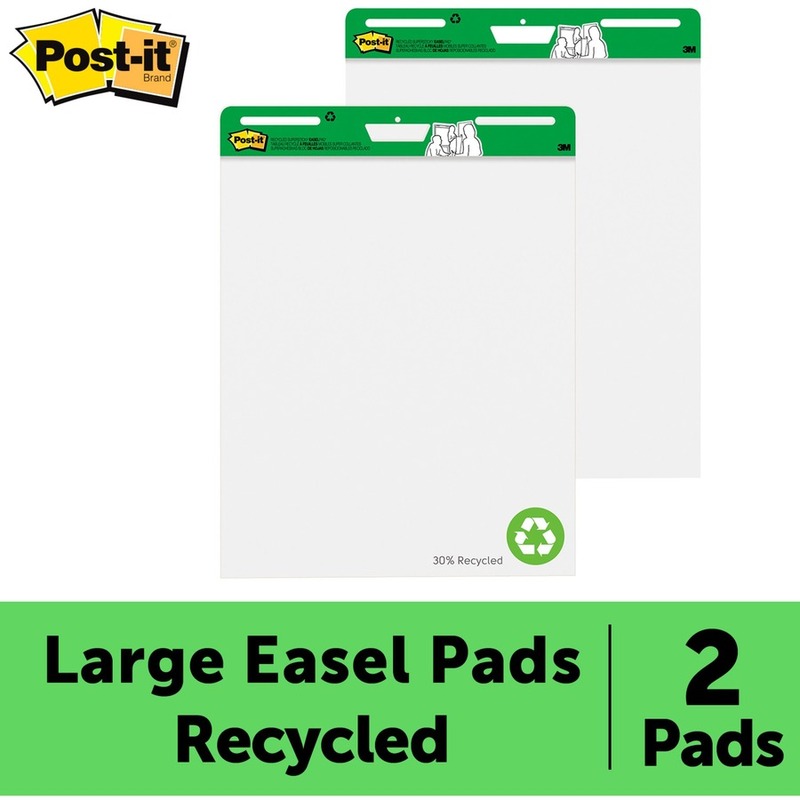 Made with recycled materials, Post-it Easel Pad sheets feature premium, bright-white paper that resists marker bleedthrough. They stick to most surfaces and can be repositioned again and again without surface damage. 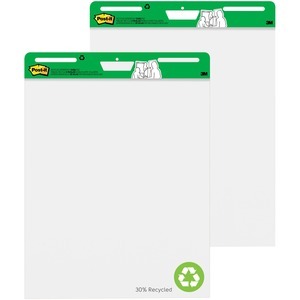 Sturdy backcard features a handle for easy portability and universal slots to fit most easel stands.